Unveiling the cloche – it will be a unique experience for all the toastmasters. How to unveiling the cloche? 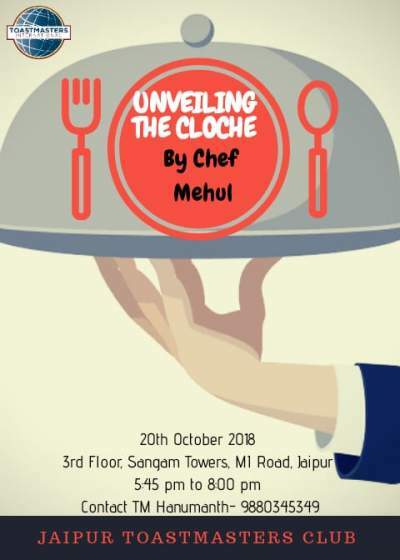 This Saturday Chef Mehul is cooking something unique and unpredictable. Let’s find out at 5:45 pm @ Sangam Towers, Jaipur.